This fall I had the opportunity to host a wonderful event for Scouting. Essentially, it was like a (JOTA). With an Internet Relay Chat (IRC) system and Skype, Canadian Scouts were able to communicate with other Scouts across the globe. Being exposed to how Scouting works elsewhere is crucial for kids nowadays. Scouting is one of those things that will always generally be the same—it may look different at times, but Scouting is still the center of it all. For example, the method for building a fire may be done differently in other parts of the world, but no matter how you build it, that skill of making a fire is the same. This applies to many different things. While hosting the event and speaking with people from all around the world, I was given insight into what was going on elsewhere. I was given names that I can think of when talking about Switzerland, Poland, South Africa, and many other places. We chatted with Scouts of all ages, Scouts who were just like us, going through the same journey and learning the same things. It’s amazing that even though we have oceans between us, a Scout can still call another fellow Scout their friend. That is truly the beauty of Scouting. The whole point of hosting this event was to invite Canadian kids to come over and talk with other Scouts online, but we only ended up having one or two kids join the event. Despite the modest turnout, the kids that came found the experience to be so cool, that I felt satisfied with my work as host. If I were ever to do something like this again, I definitely would manage things differently. In my Wood Badge 1 course for Scouts Canada, I discovered the “Plan, Do, Review,” method, which helped me learn from this experience. Perhaps the location of my station was too far from everything going on. To be fair, my station also wasn’t clearly advertised. In the end, there are a few things that could have been better, but the whole point of this was to learn from it. If you can walk away from an activity having learnt something for next time, then you have already taken your first step towards improvement. In the meantime, while I wait for hosting my next event at ScoutCon 2019, I will consider improvements I can make, because in anything you do, you can always make it better! And yet, while there’s always room for improvement, I appreciate that this event was even able to take place. Let’s be real—technology is pretty amazing if it can allow us to efficiently and easily connect with Scouts from across the world. However, it wasn’t always this easy. 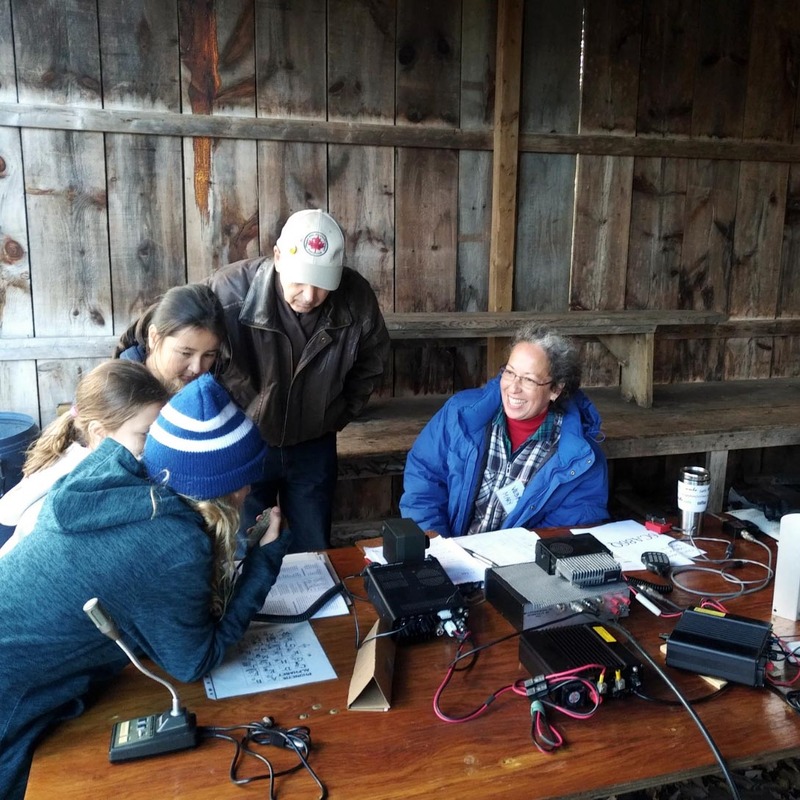 The first JOTA/Jamboree on the Internet (JOTA/JOTI) was in held in 1958, when they had to use HAM radios to communicate with other Scouts—fiddling with frequencies and calculating the rays of the sun and how far the radio waves would travel. JOTA/JOTI allows us to use the Internet and radio for sharing a small piece of our part of the world with someone else. We all have our own experiences, and getting to share it with others makes it all the more fun. I think that these events should happen more than once a year. It was truly a unique experience for everyone!